Here are the review and also specifications of Xiaomi Notebook Mi Air 13 with Kaby Lake processor. New Notebook from Xiaomi with 7th generation processor from Intel (Core i5), with Graphics Nvidia MX150 and also fingerprint scanner. How much the price of this Xiaomi Notebook? How about it spesification? Is it good in design? And how about performance? Xiaomi is currently more famous for its Smartphone products that have medium-high spec but with prices that still accepted when compared with other brands in the same level. Starting from the Mi series to Redmi with a variety of price options which is certainly very tempting their prospective buyers who are looking for some alternative choice of mid-end Smartphone. It turned out that in addition to Xiaomi smartphone also has other products that seem no less sensational like its Smartphone product. Starting from Xiaomi Smart TV , wearable gear like Mi Band to Notebook that also targeting the user who are looking for quality and high specification but still with a price that does not dig the wallet too deep. Xiaomi Mi Air 13 Kaby Lake is the latest Notebook that released by Xiaomi and as usual, it’s very tempting, if you look at a glance from the physical design of this laptop it seems that premium specification inside with class. With a thickness of only 14.7mm and weighs only 1.28kg. This notebook is really a good companion to travel with or mobile especially with SSD type of storage, is very resistant in shocks or shake when you travel. In design, Notebook Xiaomi Mi Air 13 is not much different from its elder that has been released earlier, Mi Air 12 at the beginning of 2017, wrapped in silver color on almost all parts, this notebook looks so solid and compact, with simple design gives an elegant impression at the first sight. On the screen, Xiaomi (Mi) logo is embedded in the middle-bottom area, this logo is still relatively small and simple if compared with the size of the logo in some other production notebook type such as ASUS or Acer. In the design section it seems that this Xiaomi is often called resembling the concept of Apple notebook design (Mac Book). Regardless of imitating the design of Apple notebook or not, it seems that Xiaomi also didn’t want to ignore the physical appearance. In the Mouse pad or Touchpad looks so clean and spacious but there is an additional fingerprint scanner on the right-top of the surface, the size is similar like a home button (like the one on) Smartphone. 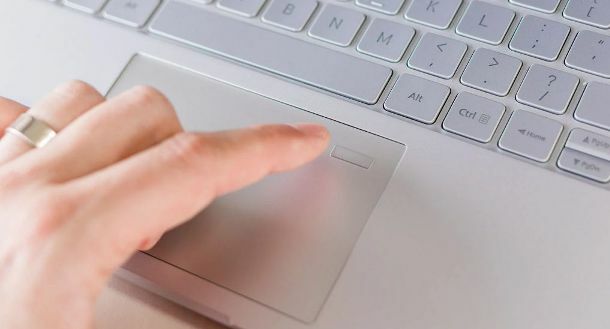 Xiaomi designers put the fingerprint scanner right inside the mousepad area, on other brands they usually placed outside the mousepad area or the closest is between the left and right click button. This fingerprint feature allow us to login automatically, so no need to type password on every login. Keyboard section also show a minimalist style with top-down arrow buttons made in small design as in some notebooks that have a mini screen, which is a normal button that is divided into two. 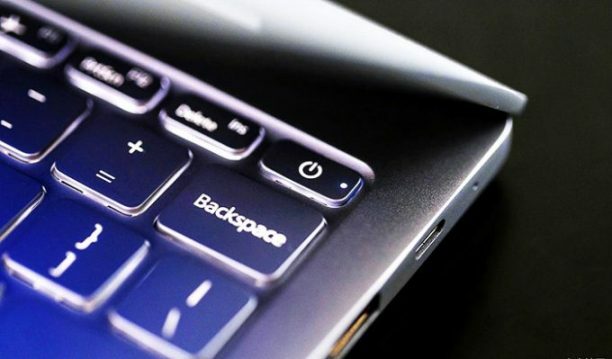 On the keyboard also comes with backlight or backlight which generally serves to help users in low light conditions to avoid mistype, using the backlight all the buttons will remain visible so as to reduce the typos. Based on monitoring ri-techno.com team, the color of the backlight is not too colorful as on the gaming keyboard, Xiaomi gives only 1 color and the color is white. With 13.3 Inch wide screen size and Full HD resolution (1080x1920), this notebook come with excellent color quality, but like most notebook in general, with the glossy screen material reflection of light sometimes disrupt the view of the user. The most huge difference of its predecessors is the part of the processor. Processors that installed on the Xiaomi Mi Air Notebook 13 is the Intel Core i5-7200U, the 7th generation processor with nick name Kaby Lake. With dual-core chip 2.5GHz and can be over clocked to 3.1GHz with Turbo Boost. The embedded RAM (Random Access Memory) on this Notebook is 8 GB of RAM and can be upgraded up to 16 GB of course will help us as users to perform various activities in the same time (multitasking). With that much of RAM we can also open applications or games that are classified as 'mid-end'.. 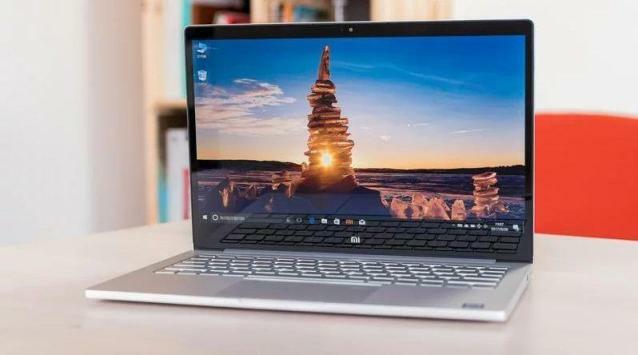 Same with the HP Envy 13 Notebook, Xiaomi also installs Nvidia graphics card, the Nvidia GeForce MX150 which is a significant improvement from the previous Nvidia 940MX on the Mi Air 12. According to GFXBench test results with Nvidia GeForce MX150 Mi Air 13 has a frame rate two times higher than the previous generation, this indicates that we as users will have a smoother image quality in heavyweight games. Media storage that owned by Mi Air 13 us uses SSD (Solid-state Drive) with 256 GB capacity, although small in terms of capacity but in terms of quality SSD is very reliable, in addition to shock resistance, SSD is also claimed to survive (not damaged) if the notebook is have power-cut or switched off by either removing the battery or turning off the power accidentally. Unlike the HDD (Hard disk Drive) which is very vulnerable to shocks and power-cut as described above. 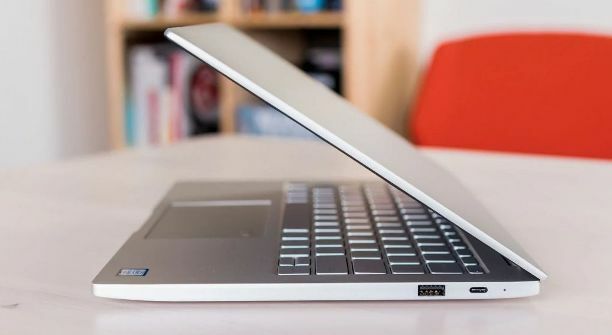 In addition to Wi-Fi, Notebook is also equipped with Bluetooth 4.1 which certainly provides a variety of options to connect the device with, but the thing to note is.. this Xiaomi notebook is not embedded with the SD card reader port, it is not a good news because for some people or some job profession like photographer. 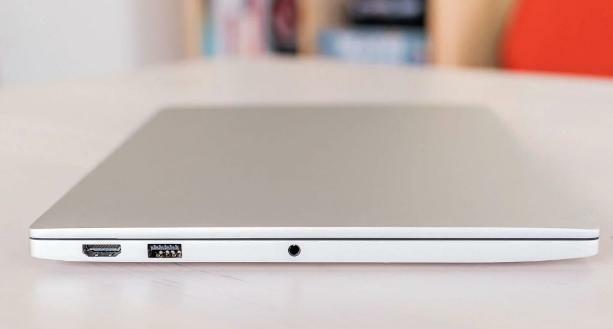 There is a different from the adapter or charger on Notebook Xiaomi Mi Air 13, unlike most laptops, this laptop uses USB-C port as a connector between the laptop unit and charger head. Charger port (USB-C) is often found on iPhone (Apple). However, the capability of the USB-C charger is not a joke, in experiments, the laptop can be charged up to 50% in just 30 minutes. The size is quite fantastic for a notebook with 5400 mAh of capacity. On the battery, Notebook Mi Air 13 has 5400mAh on capacity. With this number of capacity Xiaomi claim that this Notebook can operate actively for nine hours and 30 minutes. That statement seems correct because after the experiment by turning the marathon video with 720p quality, the notebook survives in nine hours and 12 minutes. Just a little adrift and seems that the gap is still acceptable. For the international market like in Amazon online store and also Ebay, we found the price of USD 819 with EUR 617. There is no more information about the price, in South East Asia like Indonesia the price is also similar, the price range is start from $900 to $1,200. Do not be surprised if after buying you guys get this Xiaomi Air 13 Notebook with Windows 10 but in Chinese language, because this notebook is officially launched using Chinese language on operating system, no wonder, because this notebook is produced and released initially in China. Just to remind that this notebook Mi Air 13 does not have SD card reader slot, Operating System (maybe) in Chinese version, Port Charger using USB-C, which can be considerations of you guys whether it is feasible and wort it with the price that they offered. If you guys looking for the same specifications but in the other brand you can see HP Envy 13 Notebook because it is called very similar to Xiaomi Mi Air 13 Notebook. Hopefully this article about review notebook Xiaomi Mi Air 13 full specification can help you who are looking for references and also important data before finally deciding to buy or not. The rest if anyone wants to make a discussion or asked please put it in the comment field below as usual. InsyaAllah we will help as much as possible :) Stay be a wise user! #beWiseUser!